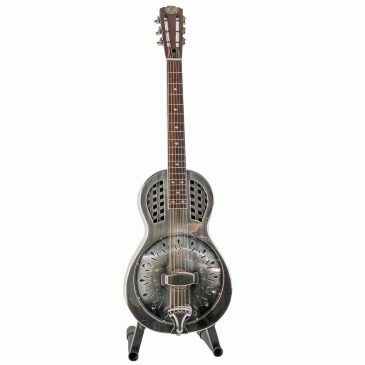 The Royall Parlorizer is our new parlor sized resonator. 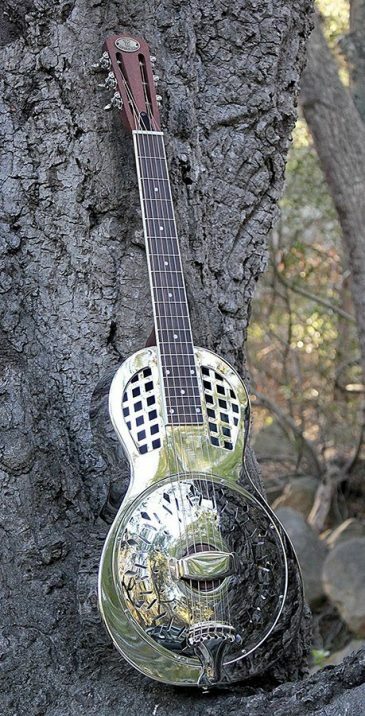 It’s a brushed nickel brass body single cone resonator with biscuit bridge and grid sound holes like a vintage tricone. 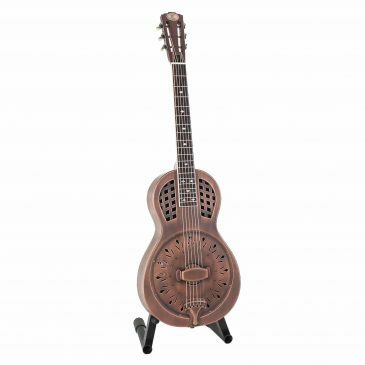 The Royall Parlorizer is our new parlor sized resonator. 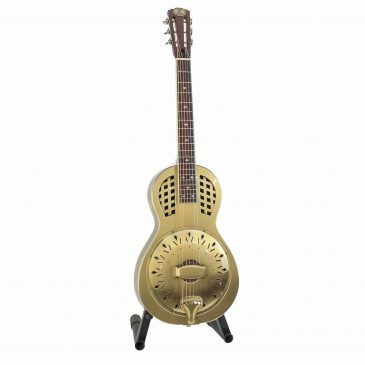 It’s a copper plated brass body single cone resonator with biscuit bridge and grid sound holes like a vintage tricone.